Sergei Rachmaninov (Performer); Royal Liverpool Philharmonic Orchestra (Performer). 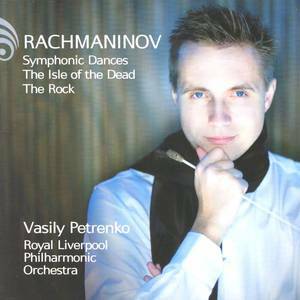 Avie Records (Record Label); Royal Liverpool Philharmonic & Vasily Petrenko (Artist); Sergei Rachmaninov (Release Artist); Royal Liverpool Philharmonic Orchestra (Release Artist); Vasily Petrenko (Release Artist). Avie Records (Record Label); Royal Liverpool Philharmonic, Vasily Petrenko & Simon Trpčeski (Artist); Simon Trpčeski (Release Artist); Sergei Rachmaninov (Release Artist); Royal Liverpool Philharmonic Orchestra (Release Artist); Vasily Petrenko (Release Artist). 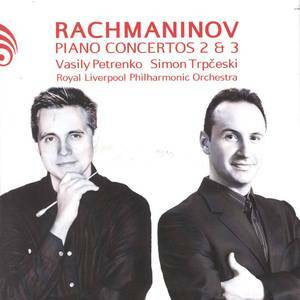 Sergei Rachmaninov (Performer); Royal Liverpool Philharmonic Orchestra (Performer); Simon Trpčeski (Performer).